Dove grey peachbloom button headpiece with fuchsia bow. 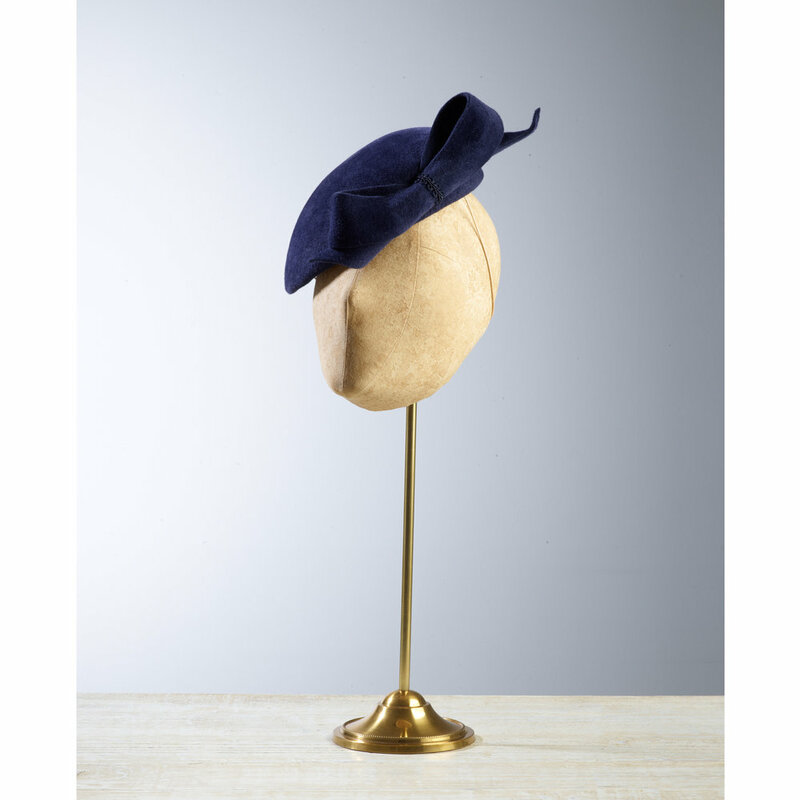 Navy peachbloom felt oval headpiece, finished with bow on front. Grey wool felt oval headpiece with black loops and black veiling. Black peachbloom felt oval headpiece, finished with bow on the side. Red twisted headpiece which sits on small disk. Pink wool felt bow fixed onto a black hairband. Pale blue headpiece with gold mesh, sits on small disk. 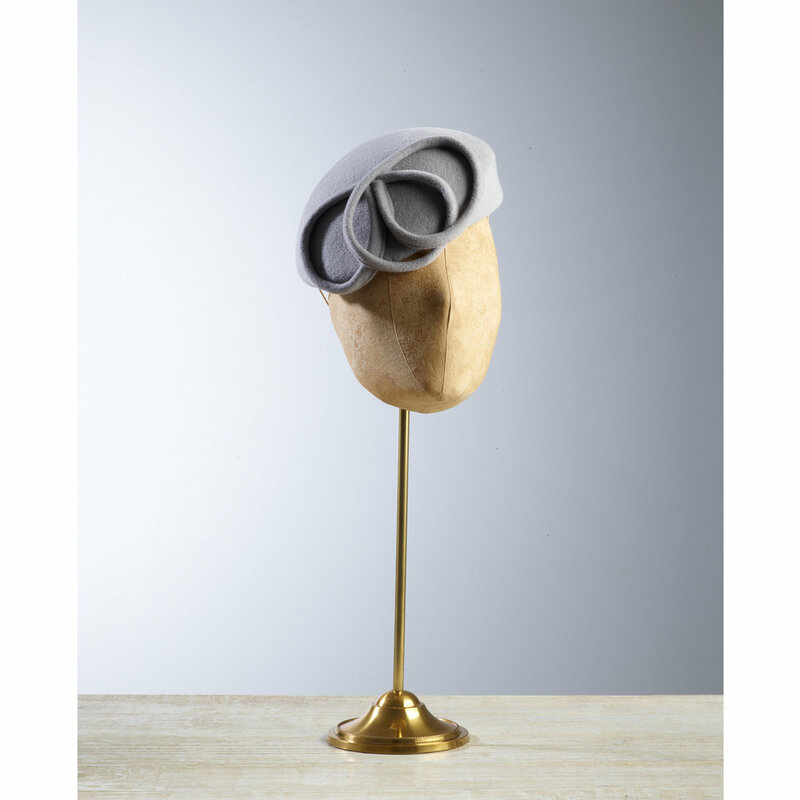 Dove grey peachbloom felt oval headpiece with loop detail. Emerald peachbloom felt oval headpiece, finished with a bow on the front. Beige wool felt headpiece with pheasant feathers.